Twinkling stars are far more desirable to poets and romantics than to astronomers. Even in the near-pristine seeing conditions over Chile, home to ESO’s fleet of world-class telescopes, turbulence in Earth’s atmosphere causes stars to twinkle, blurring our view of the night sky. These four laser beams are specially designed to combat this turbulence. 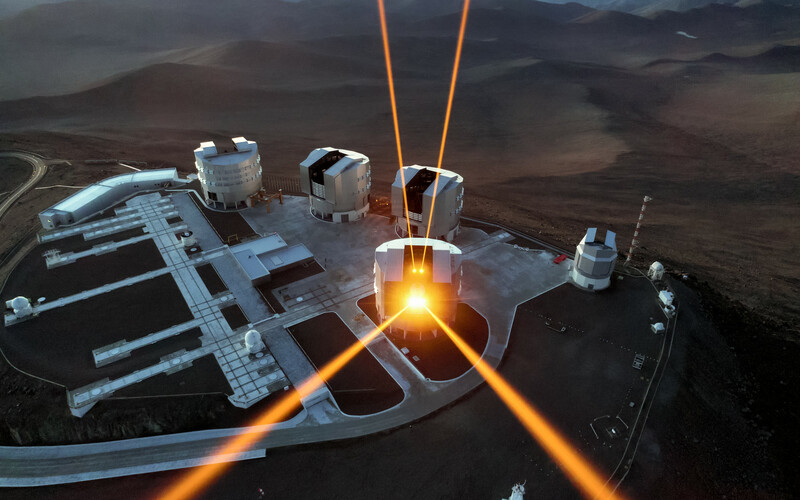 The intense orange beams dominating this image originate from the 4 Laser Guide Star Facility, a state-of-the-art component of the Adaptive Optics Facility of ESO’s Very Large Telescope (VLT). 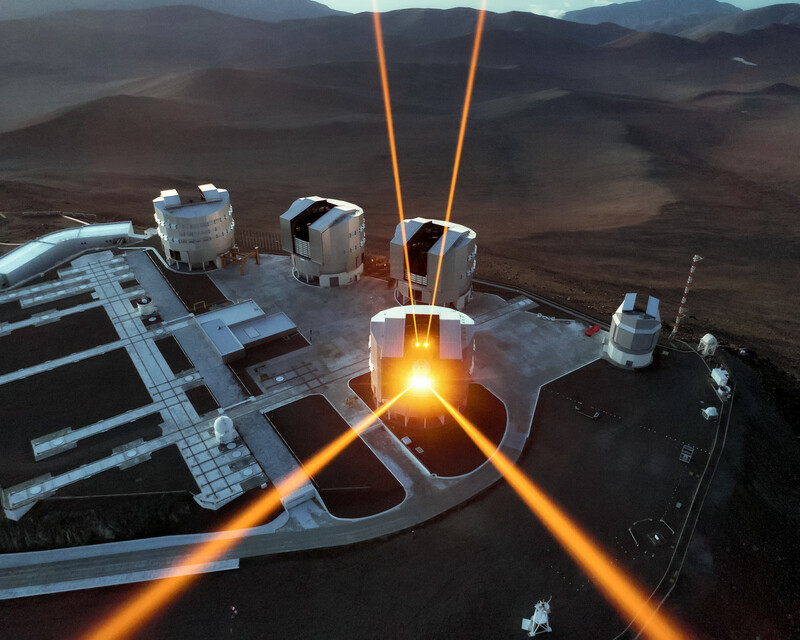 Each beam is some 4000 times more powerful than a standard laser pointer! Each creates an artificial guide star by exciting sodium atoms high in the Earth’s upper atmosphere and causing them to glow. Creating artificial guide stars allows astronomers to measure and correct for atmospheric distortion, by adjusting and calibrating the settings of their observing equipment to be as accurate as possible for that particular area of sky. 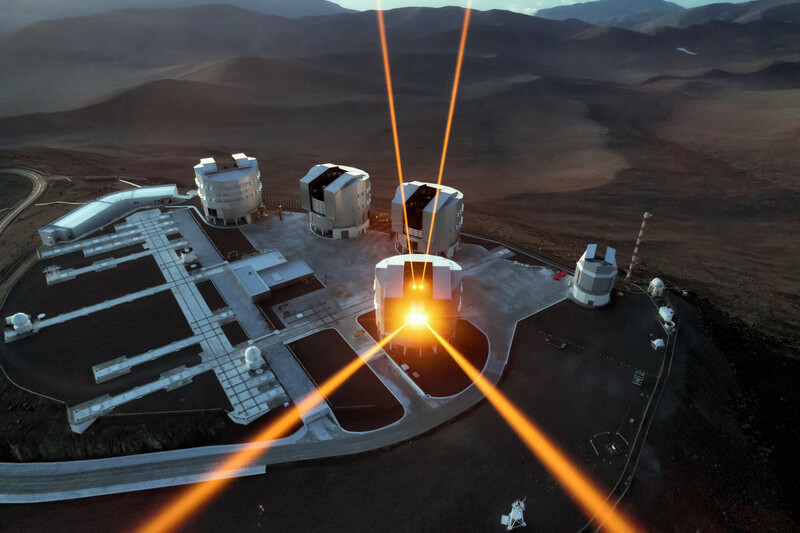 This gives the VLT a crystal-clear view of the cosmos, so it can capture the wonders of the Universe in stunning detail. 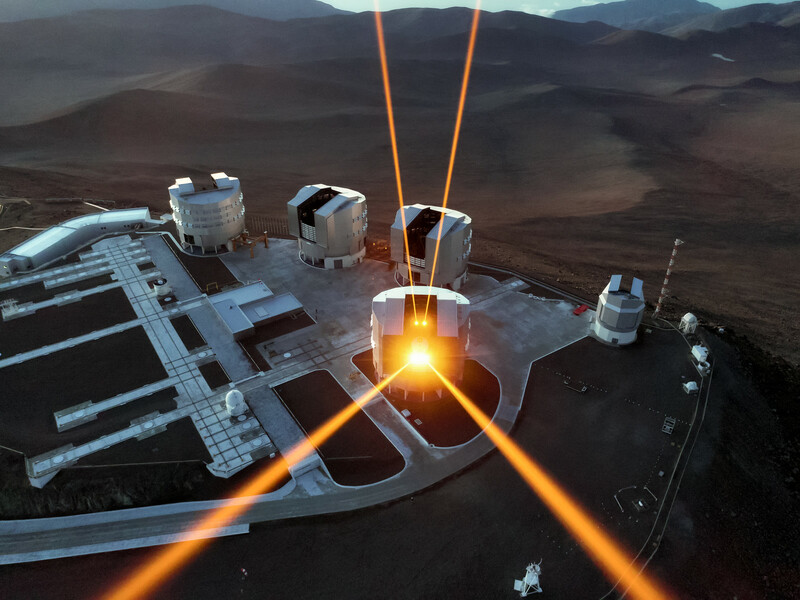 This amazing capture was taken using a drone flown over the VLT by ESO Photo AmbassadorGerhard Hüdepohl.